When your car or truck that has a manual transmission comes into the Fort Lauderdale Transmission Repair shop west of Interstate 95 and East of State Road 7 in Margate for issues that need diagnosing or repair we will begin by doing a free multi-point inspection on your vehicle to assess if your transmission is the problem or if it is your clutch or related components associated with your clutch. Many times a car or truck has clutch part problems that make it appear or feel like your transmission is failing. 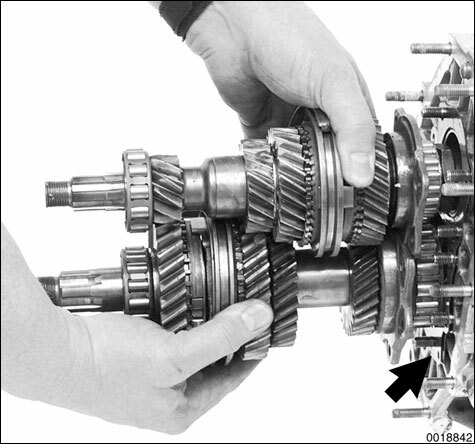 If we find the problem can not be corrected by external adjustments or repairs to the clutch we will then recommend going to the transmission inspection and diagnostics stage. In the diagnostics and inspection phase we will need to remove the vehicle's transmission to further determine if there are broken or worn out parts that need replacing. Our ASE certified technicians who are well known in South Florida for their expertise in working with manual transmissions for cars, trucks and sports cars go thorough a process at our facility by inspecting the clutch, disc, pressure plate and throw out bearings. We look at any related components that may be damaged to effect a complete repair so you will not experience any further problems. The most expensive and classic sports cars using manual transmissions have come through our shop because of the reputation of our knowledgeable crew. The technicians and mechanics will install any parts required to meet or exceed industry and manufacturer standards.If there are recent updates that are recommended for that type of transmission or clutch related component, we will upgrade your system to meet those new requirements. When the transmission or clutch repair process is complete, we reinstall the transmission & the clutch related components and refill the chamber with new high quality fluid or gear oil which ever is recommend by your car's manufacturer. The last stage is to take your vehicle out on the roads of Fort Lauderdale near Atlantic Boulevard or I-95 in Broward County where our shop is located to test the everything and perform a leak check to ensure proper clutch install, and adjustments to ensure peak performance and stability. We make sure that your vehicle is prepared for thousands of miles to come. If you live in Palm Beach county, visit The L ake Worth Transmission Repair Shop for manual transmission repairs. If you are in Coral Springs, visit our shop there at Coral Springs Transmissions on Wiles road.